The Open Space Authority contributed funds towards the development of this 1.3-acre park, including walking trails, a pedestrian bridge, benches, a landscaped swale with a biotreatment component, and interpretive signs that shows the agricultural history of the site. The Authority funded Bay Area Wilderness Training's South Bay Capacity Building Project (Getting Underserved Youth Outside). 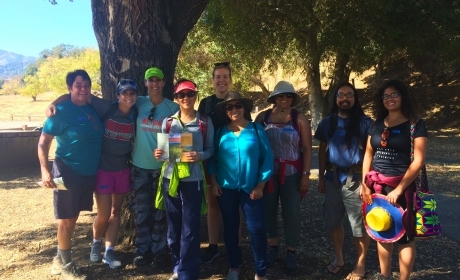 This project will expand services in Santa Clara County through hiring a new South Bay Community Outreach Coordinator, conducting a Hiking Leadership Training course, conducting two Front Country Leadership Training courses, and expanding outdoor equipment lending and trip support services through the Milpitas Gear Library. This project will increase the number of program partners and environmental educators in Santa Clara County and boost the number of outdoor trips and diverse youth visiting Authority land and other area parks, including Rancho Cañada del Oro Open Space Preserve. The Authority contributed $250,000 toward the planning of a new 3.2-mile segment of trail along Silver Creek. 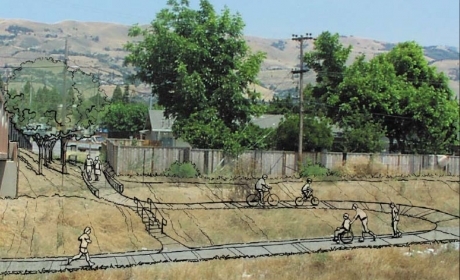 Once complete, the Lower Silver Creek Trail system will link Lake Cunningham to the Coyote Creek Trail. 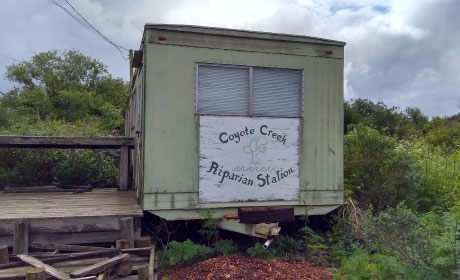 The Authority contributed funds towards San Francisco Bay Bird Observatory's (SFBBO) Coyote Creek Field Station Environmental Education Program. SFBBO operates a research bird-banding station at Coyote Creek, located at the urban boundary of San Jose and Milpitas, and engages dozens of volunteers and hundreds of visitors each year. For this project, SFBBO will work with interns from local universities to develop a place and a inquiry-based education module to bring students from six classrooms to engage in both classroom and field learning activities.